Adelie Land a tiny part of Antarctica, the southernmost continent. 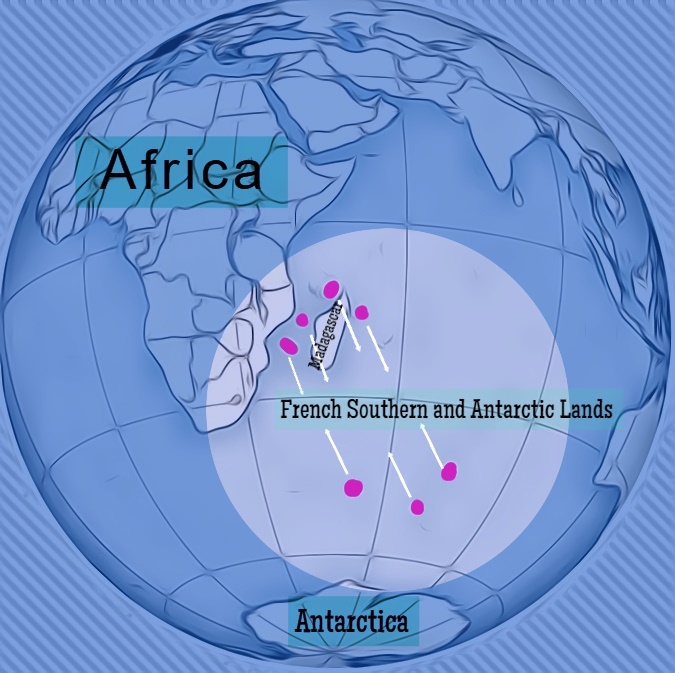 The French Southern and Antarctic Lands are one of two external dependent territories of Africa . Adelie Land is a small portion Antarctica whose history will surprise you. The French Southern and Antarctic Lands is a French overseas territory, southeast, and east of Africa. The islands are in the southern Indian Ocean, some near Madagascar and others about midway between Africa, Antarctica, and Australia. Adélie Land is a region of Antarctica, claimed by France within the French Southern and Antarctic Lands territories of Overseas France. The Government of the United States of America does not acknowledge Adélie Land as a French colony. Adelie Land is a small portion of the Antarctic continent and one of two external dependent territories of Africa. The French Southern and Antarctic Lands are one of two external dependent territories of Africa that are politically administered. An Administrateur Supérieur assisted by a secretary-general administered the area from Paris France until December 2004, however, now the administrator is a French state representative headquartered on Réunion Island. The Southern Lands are divided into five administrative districts, two of which are archipelagos, Iles Crozet and Iles Kerguelen; the third is a district composed of two volcanic islands, Ile Saint-Paul and Ile Amsterdam; the fourth, Iles Eparses, consists of five scattered tropical islands around Madagascar. The fifth district is the Antarctic portion, which consists of Adelie Land, a small portion of the Antarctic continent. It was discovered in 1840 by the French explorer Jules-Sébastien-César Dumont d’Urville, who named it after his wife. Adélie Land forms a triangle in the east of the continent of Antarctica and ends at the South Pole. Adélie Land is part of the coast of Wilkes Land in eastern Antarctica, formally claimed by Australia as part of the Australian Antarctic Territory. The region is an ice-covered plateau rising from the Indian Ocean and occupying an area of about 194,000 square miles or 500,000 sq km. The US Government does not recognize Adélie Land as a French dependency, however, Australia and France maintain stations along the Wilkes Land coasts.